Last week QIVOS participated at this year’s Loyalty and Rewards Conference, held on Wednesday October 3rd, at the Hilton Park Nicosia, Cyprus. 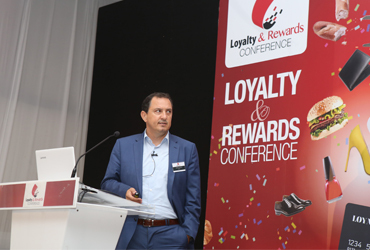 The Loyalty & Rewards Conference agenda highlighted the best practices that have been designed and implemented over the years to create, maintain and enhance lasting customer relationships. The conference focused on loyalty and rewards programs, with special attention given to the various models and opportunities that brands can use in order to better communicate and interact with their customers, with the aim of encouraging those customers to become ambassadors for the brand/product/service and, thereby, attract new customers through valuable word of mouth. During the event, Vagelis Karalis, CEO of QIVOS, shared valuable tips and insights on how modern brands can build long lasting customer loyalty in the new omnichannel reality. Amongst the speakers of the event was also Mr. Galanis, Off Price Channel Director of Factory Outlet, who presented the award-winning case study of “Check In and Win”, the company’s loyalty program.